Read detailed application instructions and download forms at this link. Or you may request an application packet by contacting the Board of Registered Nursing. Submit your application form, with appropriate fees. You will need to provide a U.S. Social Security number before a California license can be issued to you. Submit your fingerprints for a criminal background check. Submit a copy of your license or diploma that permits you to practice as an RN in your country. If your college has never submitted a transcript to the BRN for evaluation, the BRN will also need the college’s curriculum, catalogs, or other documents for evaluation. Apply for an Interim Permit if you wish to work under supervision temporarily while your licensing application is being evaluated. If you are from a non-English speaking country or did not take your country’s licensing examination in English, you will need to take an English comprehension examination to qualify for an Interim Permit. See the detailed application instructions for more information. Take and pass the National Council Licensing Examination (NCLEX). The exam is computerized and given continuously 6 days a week. Hi, I am canadian citizen as well RN license holder. I am applying for california license. I know they require SSN number to apply and to get license, but will they still accept my application so that i can write my NCLEX exam? please i dont have a social security number, i studied nursing in nigeria, recently travelled to california with a non-immigrant visa, how do i register for nclex in california with no social security number? Hi am ida, i submitted my documents 8months ago for evaluation and i have still not heard any news from the board of nursing.Any help pls?because am very worried and confuse.do any body know their contact or how to contact them? Hello to all! I currently reside in Gambia. I will be completing my nursing in May 2013. I intent on relocating to the San Francisco area after graduation. Being that I often visit the US (2-3x/year), will it be any easier for me to obtain a SSN so that I can apply to take my nclex? Your respond will be much appreciated! God blessed!!! If BRN is requesting for your clinical log book records, more so that they would be able to verify your clinical hours. hi i am PR in canada but i have done my nursing from india you will allowed me to give this test. Are asking of the California Board of Registered Nursing will allow you to take the test, since you took your nursing in India? I would think so, as long as you meet their standard requirements. I take nclex in the Phil on jan 2010 then I arrived in California dec2010. I take the nclex the 2nd time but failed again. I reapplied but they what me to go back to school here in Cali because the theoretical and clinical was not accomplished at the same time. It’s hard to accept that I have to go back to school because I know this will cost a lot . So I’m planning to take LVN so what should I do. hi your situation is same with my cousin but his evaluator said that he took his psychiatric nursing too early. my cousin took his psychiatric nursing when he was in 3rd yr 1st sem. his evaluator told him to go back to school to take it again. when did you take your psychiatric nursing? 80 hours for both theory and clinical? who is your evaluator? you guys might have the same evaluator. ok then hope to talk to you soon. No, sorry westham 88 can not agree with the legend side to your comment… Absolutly WAS Super Super Scott and so on… but a legend would’ve done a Brooking/Bonds and stayed with the side down in this league..!! All this cr*P about not being picked for England if he’s playing in the Championship.. where is HE NOW, yes with the England squad…Please please PLEASE let tottskum go down (I know it probably wont happen) then I guess he’ll jump ship AGAIN!!!!! Hi that your asking about is happening to me. they said my hours in psychiatric nursing is below minimum because they have raised the minimum hours as of the FIRST oF This YEAR. oh well, i have 80 hours in my psychiatric nursing. my friend has 80 hours too and we graduated in the same school but was able to get her eligibility last august. im still hopeless. they said i should go to one of the schoolshere at CALI again to finish my deficiency. oh well, now i dont really know what to do. i aaplied LVN instead. so to those who are applying or who applied this YEAR of 2011, the board say they raised their minimum hours in Psychiatric NURSING. SO YOU HAVE TO STUDY AGAIN FOR THE DEFICIENCY. i took my local board exam in English from the Philippinse, i was wondering if i still need to take the IELT exam because i graduated from the Philippines? @sachi: look up NCLEX in different states. there are several States that requires TOEFL i conjunction with CGFNS/CES. But if you are specifically applying for CA – you do not need TOELF/IELTS. question about the credentials assessment of RN here in phils how to apply where to address…cause CBON is not accepting TOR unless is it verified/assessed for US equivalent subjects/credits. please help me how to do so. thanks…. So if I don’t have a SSN, it’s useless to apply for NCLEX in CA? That would mean it’s practically impossible for me to become a registered nurse in CA because I’m from another country and I don’t have a SSN? Is this a recent ruling? Because I’ve known several people who were able to take the NCLEX in CA a few months back even without a SSN because I know for sure they’re not American citizens, immigrants or whatever. For your clarification. Thanks! according to my research, you can take the NCLEX in Cali but the license won’t be issued if you do not have a SSN. For those who does not know how to apply to CA-BON to take NCLEX, visit their website for all requirements. If you are in the Philippines, it would be better to mail it using fedex, UPS, DHL, so you can track your papers. If you live in the US, you may just use USPS or ordinary mail since mailing in the US is secure & safe. If you are an American citizen, you MAY work in the US, I think this is common sense, even if you studied outside the US. Just take the Exam. For those who want to take NCLEX, there are some papers that require your school personally mail it to BON, and only certain papers that you need to submit yourself. If you are in the US legally, and with a green card already no need to take IELTS, but if you are on sponsorship visa or H1B visa you need to take IELTS or any english prof exam. To find out where in your area in the US you can take the exam, go to the website of Pearson-Vue, bec they are the ones who administer the exam. ONLY green card holders & US citizens are allowed to have an SSN. If you are a tourist they will NOT give you an SSN, because you do not have papers to support that you are legally allowed to stay in the US. FYI, SSN’s are 3 types, one type allows you to work & stay in the US AND for US citizens; the other one allows you to work for a limited time only and with DHS authorization [Dept of homeland security], and the last SSN, is a type that DOES NOT ALLOW YOU TO WORK. If your license is expired or about to expire, you must renew and submit your SSN within 3 years, otherwise the CA-BON will destroy your file. If you leave the SSN blank with your application form, they will not process it & will send it back to you together with your payment. Its just a waste of time & money. You may want to apply to another state in the US, but if you intend to practice in CA, and you passed some other state in the US & requires reciprocity, you still need an SSN. Hope this clears up some matters….Good luck! If you are already registered nurse in the Philippines, you probably don’t need the english proficiency exam because the English proficiency exam are needed only for those who applied for NCLEX RN and at the same time took an INTERIM PERMIT. I guess you only need to apply by examination for NCLEX RN exam since you already took and pass an English Nurse licensure exam in the Philippines. CA don’t require TOEFL/IELTs. But there are certain States that require this, specifically for those who are trained outside the US wherein English is not the first language. NCLEX applicants should research on specific states where they intend to practice as each state has a different requirement. Just google NCLEX + US State make sure you go to the right website. If it’s a government site (state department), then that must be it! Anyone here who applied for NCLEX RN in California this year and is an RN in Philippines? were you successful with the application? I heard they increase their standard on the number of hours both theory and clinicals starting 1st of this year and they require more hours on certain subjects? Im a second courser and it happend to me. I dont understand why and dont know what to do. I’m hoping to find similar experience with anyone out there and share your thoughts and advice. what should I do ? I’m from Iran . can I use my background in CGFNS? 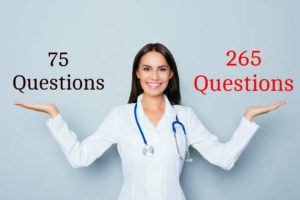 I just arrived here in California and would like to take my nclex.What are the requirements needed?,what is the exact address where I can submit my requirements?Do I need to take IELTS since I studied nursing in Philippines? Where is NCLEX going to be held?Thank you. i am a british citizen but completed my nursing degree in the phils.I am planning to take nclex at BON Cali,but SS number bothers me.Since i can go to US as a visitor,can i apply for my SS number while im there so i can forward my application form for nclex? i would like to inquire. how can i have an SSN so that the board of nursing in california can release my license im not residing in the u.s. any ways to get an Social security Number? how much the total cost of this whole filling? any response are really apprecated!! thanks a lot..
note: all my id here in california are named in my married status..
hi I’m a nurse here in the Phillipines. i wanted to take my Nclex Calif this year, I’m currently processing my papers, just wanna ask if i still need to submit a photocopy of my license together with my application form? I’m a bit confuse because i read it in the letter B of the Exam Application Requirements Checklist..i really needed ur reply as soon as possible..thanx alot and God bless..
hi! i graduated bsn from the philippines and im a u.s citizen. can i work in America? Hi..was hoping if sme1 wld b able to answer the following question for me please.. i am an american who’s jst finished my BSc degree nursing in adult branch in United Kingdom. I am hoping to move back to california this year bt wanted to find out how long do i have to wait (working experience wise) inorder to take my inclex exam as i ‘m newly qualified RN. and also would i have to do further studying for other branches ie:pediatrics,learning disability..jst feel very confused and stressed..HELP.. I am in nursing school now in New York but just as I graduate my husband who is a United States Marine will be relocated to California before I can take my board exams. I need to know if the certification I get in this state will qualify me to take my boards in California. Please get back to me as I am trying to figure this all out. hi there, im from the philippines , a registered nurse and an NCLEX passer. please help me what to do ,how to get my licence that will be expiring this year ,thank you !. Hello, please a little bit help here…I had this year(2010) the right to take the NCLEX test but I didn’t take it and I want to know how I will renew this right because it just expired in December … anyone knows??? I didn’t take the test because I was not confident that I will pass. If somebody was in the same situation like me, please send me an email, my email : loredana_nlo@yahoo.com Thank you! Happy new year everyone! If I will be able to obtain an occupational visa through CGFNS’ VisaScreen program, will I be able to apply for a Social Security Number when I get to the U.S.? hi, iam from the phil and i want to take the nclex, i bring with me my transcript and other documents.. what is the next step i am going to do? hi. iam planning to take the nclex here in CA. i want to know if i shud first send my application form to the BRN and then send a request of transcript to my school in the phils for them to send it to the BRN or vice versa? im kinda confuse on how to get the nclex exam. you can only apply for a SSN if you are a greencard holder, Student Visa, or with immigrant status, legal alien in the US. I passed my application 2nd week of August 2010, then I received a letter 2 weeks after ‘coz they need a copy of my SS Card..and I lost it, so send them a letter via ordinary mail. And now, October 15, 2010, I received my ELIGIBILITY, I registered with PEARSON and after 2- 3 minutes, I received my ATT. im also from philippines.. how can i apply for nclex w/o SSN as required.? i also want to know if how can i apply for nclex even if i don’t have social security number..?. because according to what i had inquired from geolearning centers, i can’t apply for California board of nursing w/o SSN..
hi im an immigrant of US.. i studied in the philippines.. i just want to know .. f i still need to take the local examination there to proceed with Nclex? hi, i accomplished my application forms for california nclex in 2008 but until now i was not able to send them. i’m wondering if they are still valid if i’m gonna send them now. do I still require to pass my english exam before applying a reciprocity? i would like to ask if anyone knows what are the state that doesnt require social security number to to take the NCLEX other than florida and vermont? hi i just wanna ask, how long does it take for me to take nclex since i filed my application in New York Board of Nursing. I send my documents last May. i’m just wondering why CALI BON is asking me for license/diploma that permits me to practice as an RN in PH. since im an immigrant, i didn’t took it. and in their website they posted that i just need to write an explanation letter of why i don’t have a license. im just confused right now why they’re asking me for it. thanks. One may not fill in the SSN provided for in the sheet for foreign applicants. However, within the time frame of 2 years, applicant must be able to provide the required SSN (US) for their license to be released. After that, the license expires and the applicant has to retake the exam which may not be a smart idea. In the case of Vermont BON, they do not require the SSN of applicants from foreign countries. And you can renew your RN license with the corresponding fees after a period of 2-3 years, just like in PI. To Dough Dicke:it is necessary for you to take into consideration the location where your wife plans to practice her RN in the US. Then, appropriate applications can be forwarded to the local BON and which can be found online for total fees. Las Vegas and New York have the highest fees so far that I have seen. And to all applicants, try to get the corresponding ielts exam after you have passed the nclex but the US is in retrogression so I guess, you do not need to take it that soon. Gathering from the messages I have read so far, I think most of those who wrote will have a hard time in your ielts writing skills forte since the syntax and grammar are atrocious. hi maricar, about your credentials after submitting your application form the BRN will send a request to your school and they will notify you as soon as they receive your credentials.about the ssn you really have to be a resident of CA or you have work here or else they wont let you take the exam and if they will you can’t claim your license without the ssn.God bless everyone!!! I have finished Bachelor of Science in Nursing in Silliman University College of Nursing here in the Philippines just this year. Regarding the requirements for the NCLEX examination- California, i was just wondering if I still need to take the IELTS exam because I am an American citizen and is currently residing here in the Philippines. Would it be okay if you could elaborate more regarding the social security number and the fingerprints for criminal background check for applicants like me who are here in the Philippines,who wish to take the NCLEX exam. I would also like to ask other requirements needed for the NCLEX exam in my case. i think u can leave it blank for the ssn when ur applying the exam but they will not issue u license until u have ur ssn. i think u can only have ssn if u have visa or ur us citizen. i’m also from the philippines and i’m about to migrate to U.S , i’m just wondering how will i have a social security number ? .. thank you ..
regarding the Social Security number,how can i get it..coz im going to process my application for mclex exam…thanks..